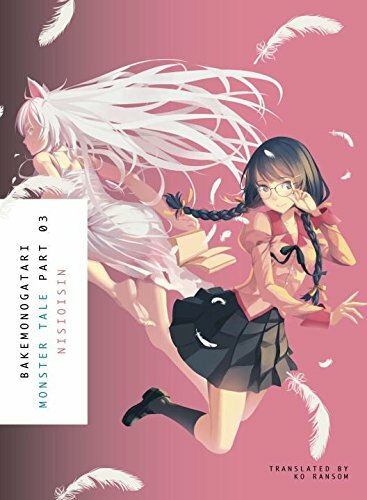 The first volume of Bakemonogatari includes the first two short stories (Hitagi Crab and Mayoi Snail, respectfully) in the three volume collection about a young man experiencing the world of the occultic. After helping not only himself but a classmate through mix-ups with aberrations, Koyomi Araragi became no stranger to the supernatural happenings of the world. When he discovers the secret to a rumored severely ill classmate, the foul mouthed Hitagi Senjougahara, Araragi offers to take her to a specialist and assist in freeing her of an invisible entity robbing her of her physical weight. Later, Araragi meets a young girl named Mayoi Hachikuji who lost her way trying to see her mother for Mother’s Day. No matter how much he tries, however, he keeps struggling to find where exactly to go. Right from the jump, it is impossible to ignore the confidence that Nisio Isin has in his storytelling talents. Going against the grain with more of a “tell, don’t show” approach, the author makes a narrative where he controls every aspect of the flow to his story read unbelievably smooth. To write something with a style that betrays all traditional storytelling and control the own destiny of the work is something that just has to be marveled at. Most of the plot, character development, and conflict occurs in dialogue that spells out every step being taken towards the resolution of the respective stories. Instead of boring the audience to sleep with the lengthy discussions (sometimes spanning ten pages at a time), there was a fascination in events unfolding one line at a time that kept me glued to the pages. There are short folk stories, clever Japanese wordplays and cultural practices that are explained that give clues to the answer towards the supernatural mysteries. While it is a bold move that is bound to blockade a large group of readers, such gutsy confidence in storytelling is commendable and potentially inspiring. Despite having two separate stories, both tales in this novel excelled in telling enthralling stories whilst displaying the same brazen style. Araragi’s difficulties with expression coupled with Senjougahara’s drastic defensive wit makes for surprisingly comical conversation as the duo work to address a serious situation in contrast within the first story. While the classmate’s character development flirts dangerously close with being cliché, there is a deep twist towards the end that makes the means to the end feel intelligent and deliberate. In the second half, the biggest strength that the story has going for it has to be in how much Araragi faces his own personal issues while accompanying the lost Mayoi. It could be enough to dig deep into one character’s development (like the previous story did), but these moments where Mayoi Snail doubles down and uses one individual’s desires to run away from the realities of maturation to piece together a solution for another’s metaphysical dilemma. What starts as a young man’s honest insecurity quickly becomes a gigantic clue that leaves a satisfying growth to accompany the rather shocking truth in conclusion. These praises might sound vague, but it is essential to leave the details out for the sake of preserving the magic in the narrative. Even after the twists occur, it is hard to ignore how carefully constructed the path to them is paved. It is the kind of attention that has to be paid to the writing that would otherwise make the narration sink into a mangled mess. The biggest concern I had with this novel was just how cozy it was with molding its dialogue with humor relating to the Japanese language and the culture. This is not to say the translation was bad- in fact it was rather impressive with how much it worked in more Western culture references in points that really could use a joke that made sense to an English reading audience. The polish kept the excellent flow of conversations in tact, but it could reasonably only salvage so much. At certain points, the characters would discuss grammatical or regional jokes that had to make a quick web search detour necessary to understand the train of thought. It doesn’t seem like a big factor, but it likely could make the decision to read the novel more of a difficult one (especially if someone isn’t really interested in the communication driven storytelling). 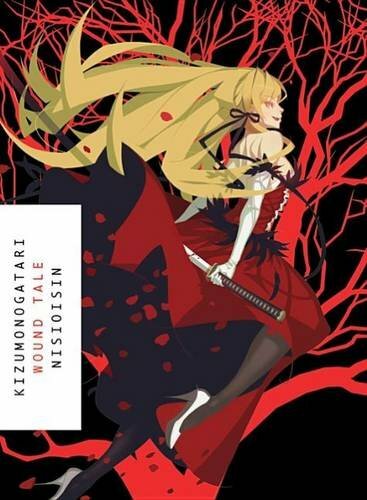 While the comedy and references were sometimes hit or miss, Bakemonogatari throws so much into the discussions between its’ characters that it doesn’t kill the story if the reader wants to skip ahead of a tangent or two here and there. Things move at an insanely fast cadence and so much is being said that it is easy to forget about a bit that might not leave the reader in stitches or enthralled. This works particularly well in the second short story, as there are quite a few moments where skipping over parts of dialogue would serve the storytelling much better. With that said, Bakemonogatari lives and dies by its ways to the utmost extremes. Unfortunately, the “dies” part of things leaves incredibly polarizing work in its wake. On more than several occasions, the main character goes out of his way to bring attention to the fact he is a criminal of a certain nature to the backdrop of already uncomfortable events occurring. While it might sound like a personal distaste, this is less of an opinion markup and more of a general writing critique. When things veer off into the other side of giving every thought and action an audience, it gets really ugly and effectively kills any flow and momentum the novel can almost magically get going. It is a problem that has been well documented with the franchise, but the issues that come up in writing certain sections borders unethical. This is a real shame, as the writer shows a tremendous talent in storytelling that would otherwise be hailed. Consider it a “read at your own risk” for that contributing factor, but if a reader is laissez-faire with the kind of writing, then they will be right at home. 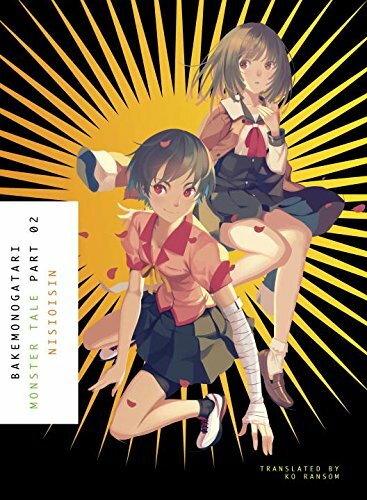 Bakemonogatari Vol 1 might not be the easiest thing to sell someone on- its glaring issues with a few of the topics that would have been wiser to filter and how much it goes against the fundamental rule in writing of “show, don’t tell” proves to be a challenge to gathering an audience. This unorthodox storytelling style actually works well, however, and actually comes off as a stroke of genius when looked at as a whole. A colorful cast of characters and fascinating modern takes on old folk tales and legends feels fresh and genuinely interesting. Solid translations make obscure cultural references make sense with Western comparisons that don’t compromise the story. This series is a major gamble, but one worth taking to see if it suits your fancy. 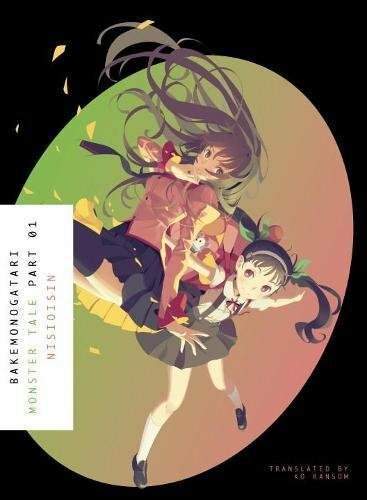 Bakemonogatari Part 1: Monster Tale was translated by Ko Ransom and published by Vertical, Inc. on December 20th, 2016. The original Japanese release was in November of 2006 under Kodansha's Kodansha Box imprint. The long-running novel series has received several anime adaptations from animation studio Shaft. The Bakemonogatari arc began airing in 2009.